Your Bottom Line Will, Too. Who says our products are terrific, and our service is the best? Our customers do. Everything we do is designed to keep you — and your customers — happy. We make high-quality meat products, made with the latest technology. Our operations are SQF Level 3 Certified. And our processes are designed to save you time and money, from our accurate, on-time deliveries to our attentive customer service associates. We’ve even developed a series of kitchen-tested recipes, so that you can keep your customers coming back for more. 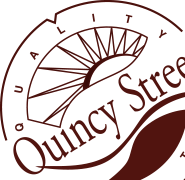 Quincy Street makes the kind of high-quality pork products that will keep your customers delighted, and we do it with the attention to service, safety and efficiency that will keep your bottom line happy. This soup is a hearty meal that will satisfy any appetite. Check out this and other recipes available for several of the quality pork products we offer! No breakfast plate is complete without a delicious serving of perfectly seasoned sausage links or patties. Find what flavor profile works for you!